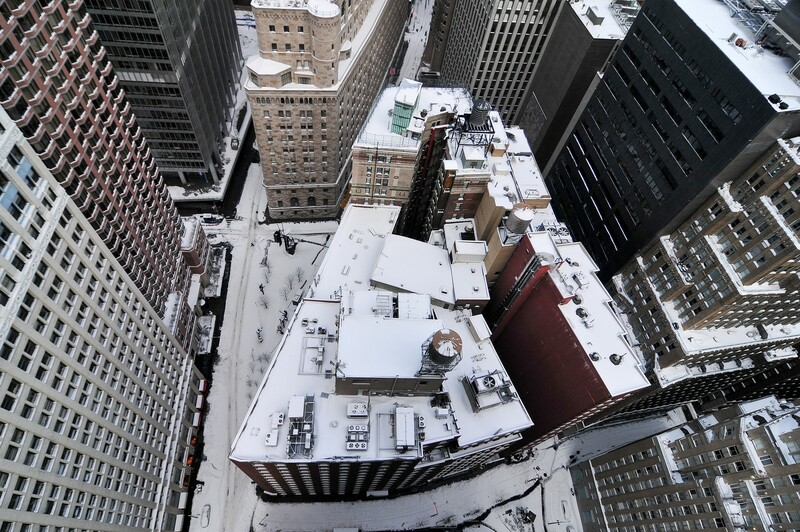 When it’s time to get a roof for a new commercial property in Youngstown Ohio, a property manager or building owner wonders what his options are. Roofing materials are commonly thought of, and we’ve already written a blog post about them — check out the guide here. But what about roof structure types, specifically roof shapes? 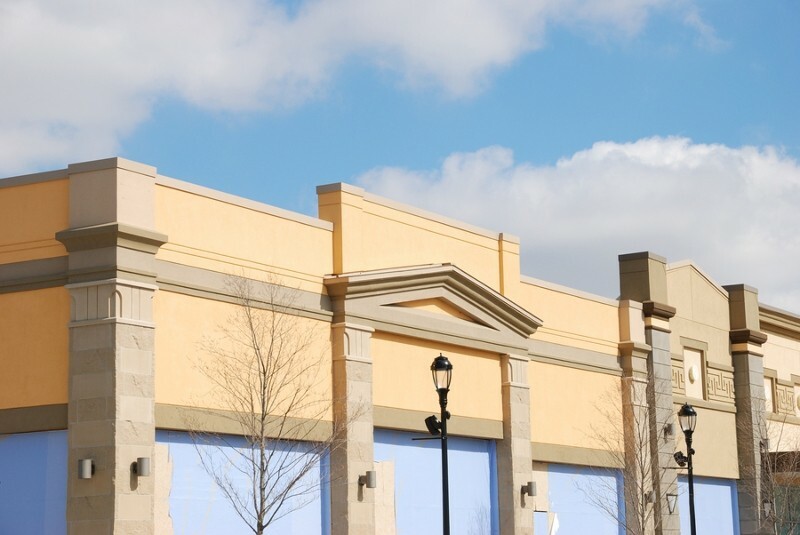 Yes, commercial roofing shapes are an essential consideration. Your final roof shape will affect the exterior appearance of your facility, roofing durability, energy-efficiency, and the ability of your roof to shed water. Today’s blog post by J&M Roofing LLC will not only mention five commercial roof structure types but will also share three ways to maximize their service lives. Keep reading. Parapets are great for commercial rooftops that are converted into gardens and patios. A parapet roof refers to a flat roof in which the walls of the building extend slightly beyond the roof for safety reasons. The word “parapet” means “barrier” or “protection.” Parapets date back to the ancient times when people used them to defend their buildings from enemy attacks. If you plan to utilize your rooftop to accommodate clients or build a garden, parapets help prevent the risk of falls. People on the rooftop can lean on a parapet. 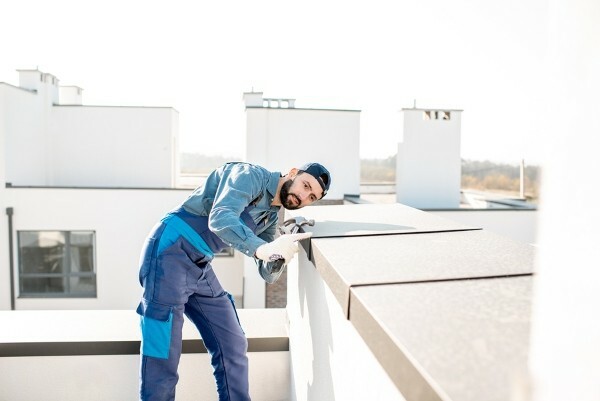 Rooftop maintenance personnel won’t have to worry about accidents. We appreciate parapet flat roof structure types for they make a Youngstown OH building more functional and safe for everyone. One of the simplest (yet best) pitched roof types for commercial buildings is a gable roof. Gable roofs are characterized by two roof pitches that intersect. If your facility will be situated in a very windy area, don’t choose a gable roof since it easily sustains damage. If you push through, have a roofing contractor install diagonal braces. How do gable roofs provide value? Their specific shape promotes proper drainage of rainwater. This mechanism prevents water from sitting on the roof. Water that doesn’t drain for days will weaken the roofing material and cause leaks. Here, we appreciate gable roofs. Another huge advantage is that gable roofs cost less to construct. And to achieve long-term value, you’d want to choose a metal roofing material. Imagine the shape of the letter “A.” Yup, that’s what an A-frame roof looks like! With two very steep sides, A-frame roof structure types are beneficial for areas that receive heavy snowfall. The specific shape prevents premature damage due to the weight of snow. As a building owner, you might also choose an A-frame roof if you want your building to take on a unique appearance. A-frame roofs look stylish. And while they make an unusual choice for commercial properties, they surely make your business stand out. Such roofs harmonize with restaurants and small local shops. 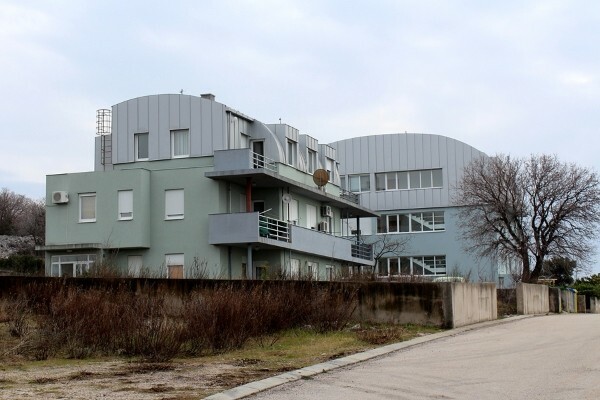 These apartment buildings have curved roofs made of metal material. Curved roofs give your commercial property a unique appeal. One chooses to install a curved roof over his entire building or use that roof for a hallway/entrance. The box shape of buildings looks conventional while a curved shape suggests a modern style. Apart from an improved appearance, curved roofs contribute to energy-efficiency and increased comfort. How so? Unlike flat roofs, curved roofs only get direct exposure from the sun for a limited amount of time. The angles of curved roofs are responsible for this minimal exposure. “Skillion” is the other name for a shed roof. Shed roofs make attractive options for public houses, restaurants, cafes, and sports facilities. Building owners who prefer a low-cost roofing shape will opt for the shed style. Because shed roofs have one slope, roofing contractors finish the construction process in less time. Plus, these roofs do an excellent job in draining rainwater. In addition to these benefits, shed roofs look modern. They also give you more flexibility concerning material choice. You can use a metal roofing material for this structure. Here’s a blog post that talks about the pros and cons of shed roofs. 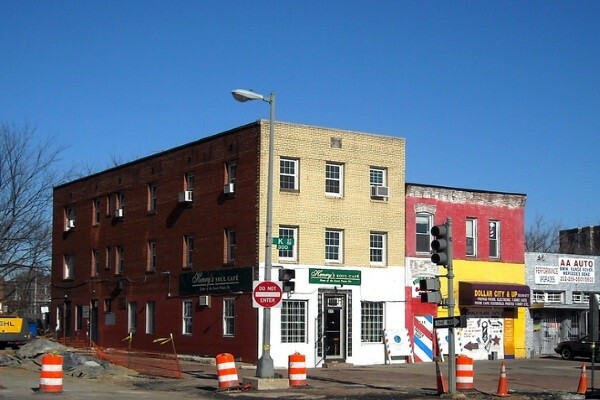 Note that while the post is residential in nature, the information can be applied to your commercial property. We already discussed five types of roof structure. Regardless of the roof structure types you have in mind, what’s more important is that you get to maximize them through maintenance. Speaking of commercial roofing maintenance, you might want to check out some considerations to make. 1. Perform the necessary repairs and consider a restoration service. Sloped and flat roof structure types usually undergo wear and tear. The sun, rain, foot traffic, and other factors take a toll on the material. Repairs help avoid further structural damage. Of course, you will need to hire a Youngstown OH roofing contractor to inspect your roof twice a year. Sometimes, your contractor will recommend restoring the roof as well if they detect multiple areas of damage. This is a practical and more cost-effective approach than a complete replacement. Here at J&M Roofing LLC, we offer quality repair and restoration services for metal roofs. 2. Apply watertight and reflective coatings. White reflective roof coatings enhance the look and performance of your various commercial roof structure types. Roof coatings restore the beauty of your flat and different sloped commercial roof structure types as they create a seamless, white surface. Not only that, the surfaces of your roof reflect the sun’s rays to keep your building cooler. If you often deal with leaks, coatings provide an extra layer of protection from water. 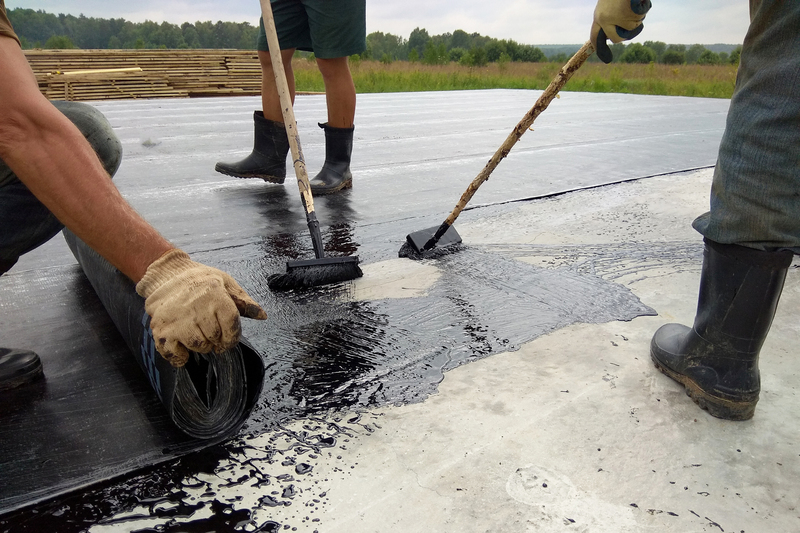 Learn more about J&M Roofing LLC’s roof coat membrane services. 3. Install spray polyurethane foam (SPF) roofing. Spray foam roofs are another solution to prolong commercial roofing lifespan. In fact, proper maintenance of roofs with SPF are known to last indefinitely. 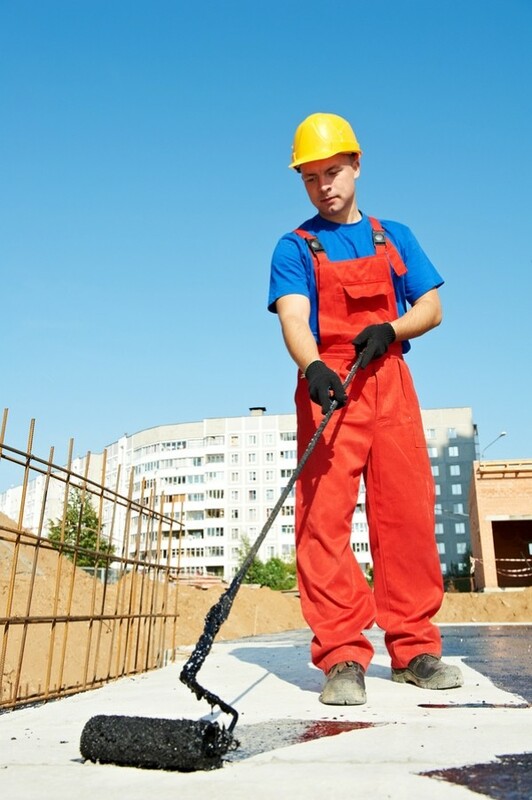 A contractor that specializes in SPF will spray the liquid to a roofing surface. The SPF liquid will expand into a foam in a matter of seconds. SPF roofs are rigid, watertight, and act as excellent insulating materials. We hope that our guide about the various commercial roof types helps you choose the best roof for your property. 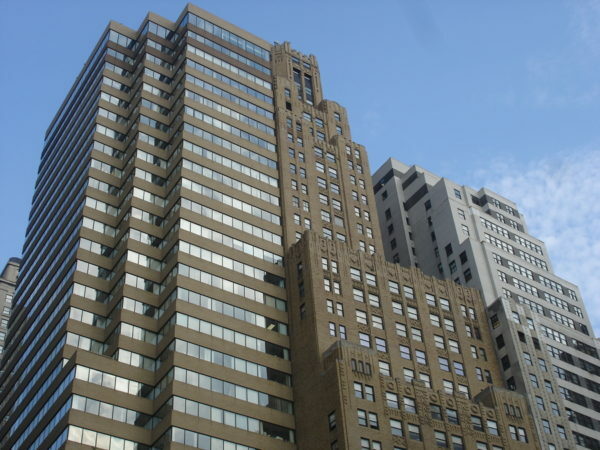 Whether you’re about to construct a new building or want to improve an old one, don’t forget the three long-term solutions we suggested — repairs and restorations, coatings, and SPF roofing. Let us know if you need more commercial roofing advice. We also invite you to check out our client reviews to get an idea of our quality services. Reach out to us at 330-248-705 and get your FREE ROOF EVALUATION!